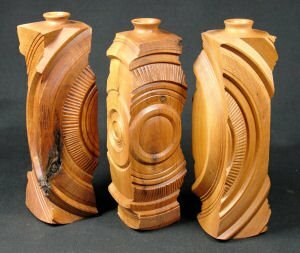 You've got to see these incredibly cool vases that my friend Derek makes! He calls sets like this "Triplets". This is Triplets 2, which is already sold ~ no suprise. Read more about wood turning on Derek's blog.